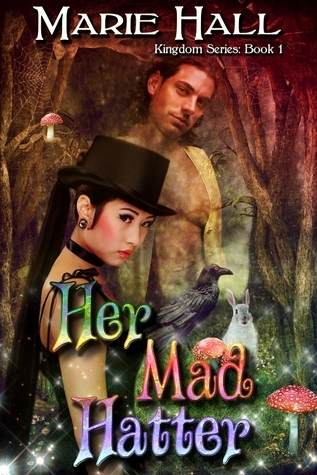 Her Mad Hatter is a totally new and original retake on the Mad Hatter and Alice’s encounter. Alice Hu, runs a cup cake shop called the Map Hatter’s Cupcakery and Tea Shoppe until the day Danika (fairy godmother to the less desirables) comes along and whisks her to Wonderland. Danika has been charged with the task to find the perfect mate for the Mad Hatter. Unfortunately, Danika has bringing the wrong Alices to the Hatter for years and he is on the brink of complete insanity. Only the Hatter’s true love will bring him back. 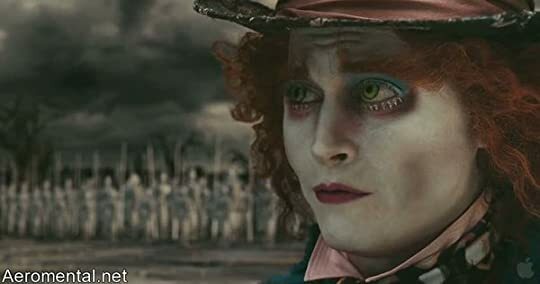 But this Alice seems all too familiar to his “almost” true love, she was Alice’s evil grandmother who completely toyed his Hatter’s emotions for the power to control Wonderland. Can Alice break through the barriers to Hatter’s heart in time to save him? Will Hatter find it in his heart to truly love Alice? Her Mad Hatter is such a wonderful and fabulous twist from the normal fairy tale into a truly breathtaking adult romantic fantasy. Her Mad Hatter was an easy and very entertaining read, it was definitely worth the trip into Wonderland. Sign into Goodreads to see if any of your friends have read Her Mad Hatter. Love your review BEth, I just got Hook's pan from Netgalley. I wasn't even aware that this was a series. Looking forward to something new and exciting.